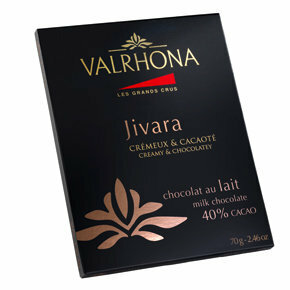 Silver award from Academy of Chocolate in 2011 (Best Milk Bean to Bar category). 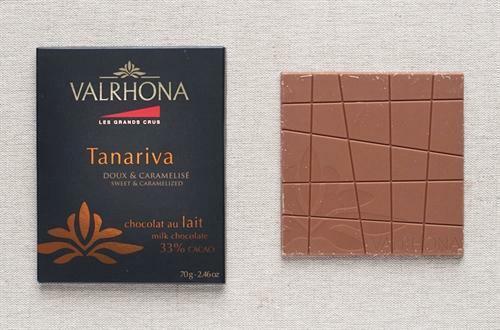 Bronze award from Academy of Chocolate in 2009 (Best Milk Chocolate Bar category). When I buy cocoa beans, I have the opportunity to visit a wondrous array of communities that are far from the beaten path. Ocumare is one of them. Ox-cart width streets lined with colonial houses testify to Ocumare’s long history. 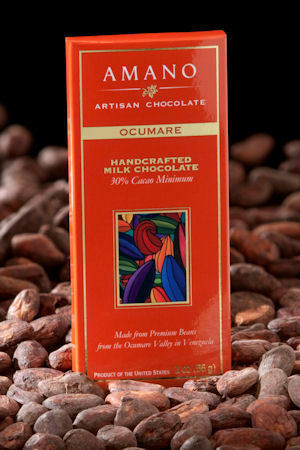 Ocumare’s cocoa has been highly prized and exported since at least the 1600’s. The people of Ocumare are gentle and humble; whose culture is a mix of Indigenous and Spanish with influences from the Caribbean. I greatly enjoy my time in Ocumare visiting with its people, telling stories, sharing our chocolate and enjoying their cocoa. Ingredients: cocoa beans, whole milk powder, pure cane sugar, cocoa butter, whole vanilla beans. Ingredients: sugar, cocoa butter, whole milk powder, cocoa beans from Madagascar, dried skimmed milk, natural vanilla extract, emulsifier (soya lecithin), natural vanilla flavour. Ingredients: cocoa butter, whole milk powder, sugar, cocoa beans, brown sugar, natural vanilla extract, emulsifier (soya lecithin), barley malt extract.